This is Rachel. She is quite the mess. 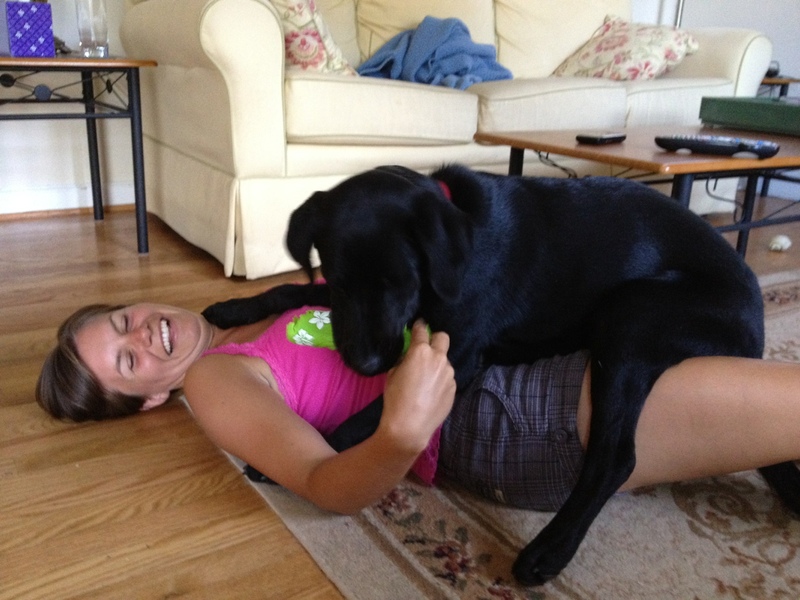 Rachel thinks she’s a lap dog, but she’s almost the same size as Dana! The first few days were rough. Rachel didn’t quite know I was the boss. A spray bottle filled with water has mostly fixed that misunderstanding on her part, but she’s still using her teeth to show her love. At least, I hope it’s love? Speaking of teeth, she tore apart the hand-me-down dog bed that my dad sent me over the weekend. It only lasted a few days. Now, she’ll have to make do with a towel underneath the crate. “Nighttime” is still a difficult concept for Rachel. As soon as any bit of light comes through the shades in my bedroom in the morning, she’s ready to play. Even before 6 a.m. Moving around the crate makes the metal jingle, and I, being paranoid about accidents, have to climb out of bed, try to make it down the stairs without tripping over the 46-pound pup, and let her out in the backyard. If only she would stay out there by herself, then maybe I could sleep another hour. But no, she wants to sit next to the door and whine if I go back inside. And, I’m not sure how much I trust her. I haven’t slept much lately, needless to say. I’m not quite sure how single parents have jobs and raise kids, and manage to function during the day. Rachel also likes parading around with sticks that she picks up on our walks, or biting the water that comes out of sprinklers. My parents and boyfriend have enjoyed watching her play via video, since they haven’t met yet. Once I figure out how to post videos here, you can watch her puppy antics, too! 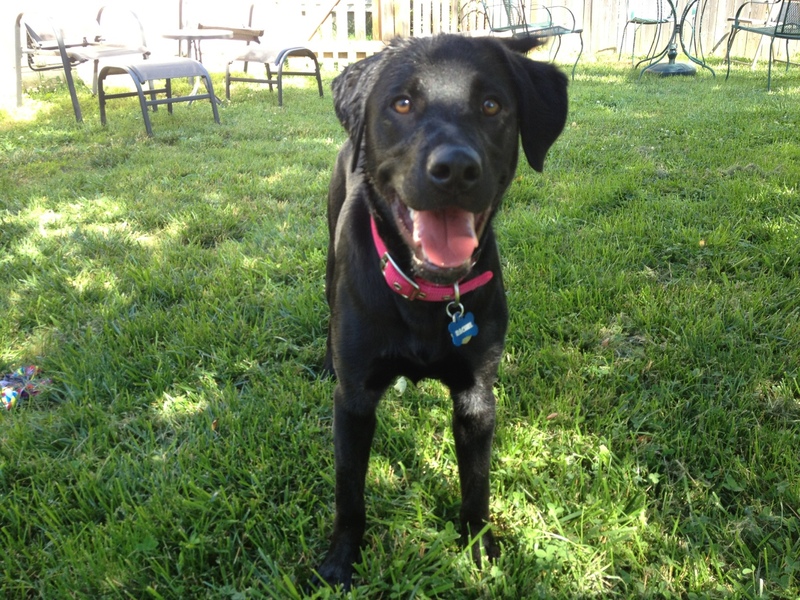 Katie – the picture of the dog bed is SO hilarious! Won’t be springing for the Orvis bed anytime soon!